No scar bunionectomy 3 years ago. Even I didn't think she would get a good result the time of consultation due to the amount of arthritis seen and severity of pain preop. 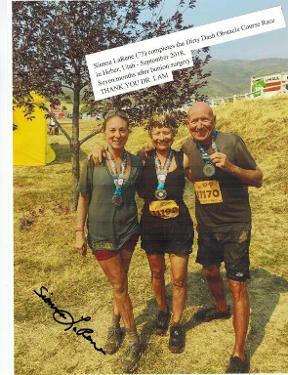 3 years later the patient returns and has referred many patients. Bunions comes in all shapes and sizes from mild , moderate to severe. 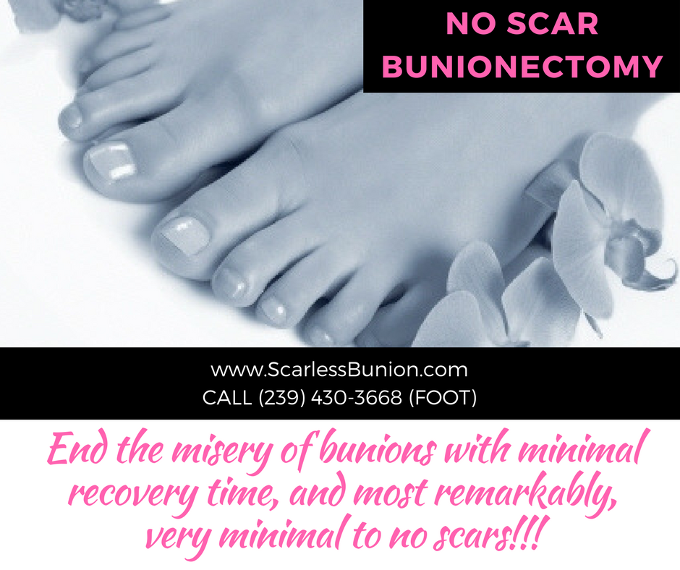 Most bunionectomies will require up to 6 week to fully heal but with the advent of new fixation techniques and now scarless bunionectomy a person can be up and about the same day! 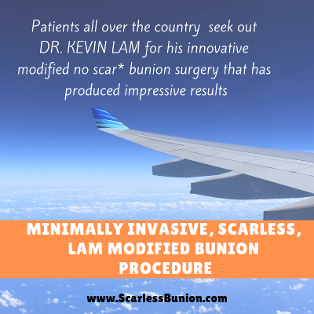 What is Minimally Invasive or No Scar Bunion Surgery? What is the Difference between a Bunion and Gout? Is It Possible to Walk After Bunion Surgery? 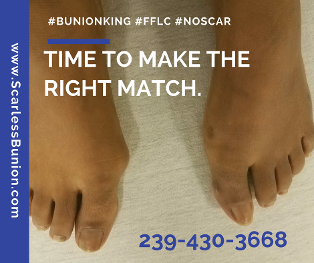 A lot of patients who suffer from bunions try to steer away from surgery, thinking that the procedure would cause a lot of pain and swelling and leave them on crutches for weeks or even months. A lot of people think that bunions can only affect women and the elderly. The fact is, bunions can occur at any age, even the very young and men, too, can be susceptible to this painful foot condition. There are two types of people who can get bunions. First are those who are prone to it or have a hereditary inclination to develop bunions. Then there are the ones who acquire bunions due to constantly wearing poorly fitting shoes. A bunion is a bony protrusion of the metatarsophalangeal joint (MTP joint). This condition commonly occurs in the first metatarsal bone and big toe. If it is located between the joint of fifth metatarsal bone and small toe, this is called a tailors bunion. Statistics show that 38 out of 1000 females and 8 out of 1000 males have bunions. This is a fairly common condition affecting 4.4 million Americans in a given year. A bunion is a bump located at the base of the big toe. The bump is actually the head of the first metatarsal bone protruding outwards. Bunions occur due to weakness of the structures of the foot. According to statistics, about 4.4 million Americans suffer from bunions in a given year. Now that’s a high incidence for a foot condition. But in most cases, bunions rarely cause any problems, except for a visible bump on the big toe. A bunion is a bump at the joint of the big toe that can be unsightly and can cause severe foot pain. If you have a family history of bunions or suspect you have this condition, immediate attention should be done. Bunion surgery is recommended when all conservative treatments no longer provide relief from bunion pain. 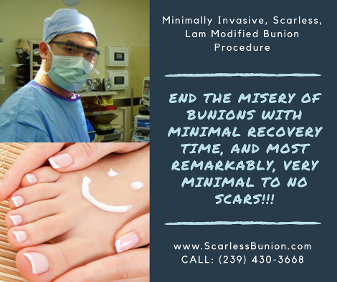 Minimally invasive bunion surgery is a highly recommended technique for correcting bunions since it only requires a small incision to get the procedure done. It involves very minimal pain and swelling with fast recovery. 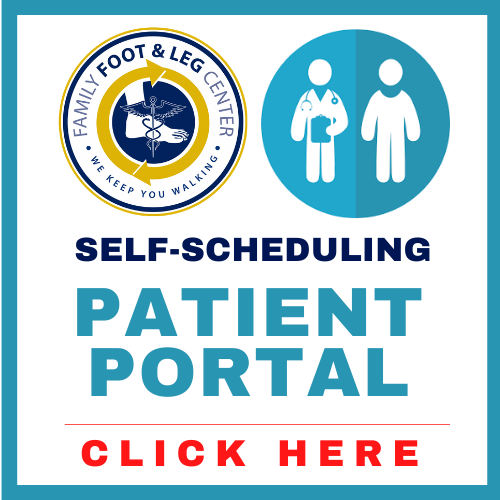 A bunion is a common foot problem that can cause mild to severe debilitating foot pain. 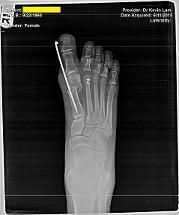 It is due to the outward deviation of the first metatarsal bone and the inward deviation of the big toe, which in some cases cause the big toe and second toe to overlap each other. A bunion is bump at the joint of the big toe that can cause mild to severe debilitating pain. Typically, bunions won’t cause any troubles unless the bump gets irritated when it rubs against your shoe or accidentally get hit. Bunion pain can be treated by non-surgical means by using orthotics and shifting to shoes with wider toe boxes. 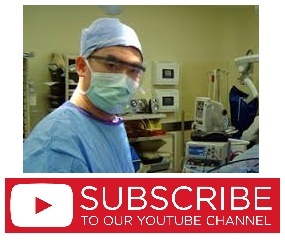 If the usual conservative treatments no longer provide relief, surgery is recommended. Bunions can be really painful for some individuals. But others will not experience any symptoms of pain and remain asymptomatic. For others, the bump can slowly grow larger thru time if left untreated. A bunion is bump located at the base of the big toe. Due to the weakness of the structures of the foot, the head of the first metatarsal bone deviate outwards and the tip of the big toe point inwards, forming the bunion. 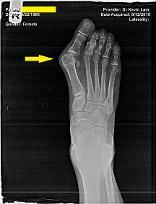 A bunion is an abnormality of the foot where the joint to the big toe tends deviate outwards. Some patients may have no problems with their bunions, but for people who do, even the slightest bunion pain can be irritating. A bunion an abnormal bony protrusion or bump located at the base of the big toe. The bump is actually at the joint between the first metatarsal and the big toe. Bunions can make the feet look ugly, that’s why people with bunions opt to use closed shoes. 5 Ways to Relieve Bunion Pain – No Surgery! Do you have a bump at the base of your big toe? Does it cause discomfort or pain during activities or at rest? If so, you most likely have a bunion. A bunion is an abnormal outside deviation of the metatarsophalangeal joint or the joint at the base of the big toe. The bunion occurs when the first metatarsal bone turns outwards, causing the big toe to point inwards; hence, forming the classic bump of a bunion.